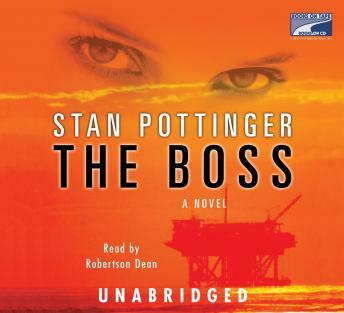 From the author of the megabestselling The Fourth Procedure and A Slow Burning comes an unsettling and bold new thriller set in the high-stakes, no-holds-barred world of oil, where a driven man can make his fortune and a beautiful woman can win her soul–or both can lose their lives. Spin Patterson is a Texas Golden Boy with a company he’s inherited from his father-in-law and built into a multibillion-dollar goliath. When Spin’s wife, Audrey, files for divorce and threatens to sue him for everything he’s worth, he must find a way to protect his massive empire. The stakes are as high as they come, and the levels of fraud and violence that Spin finds himself ready to use surprise everyone, most of all himself. Max McLennon, Spin’s devoted young protégé, has grown up in the shadow of oil rigs, where he’s seen both his father and brother pay a horrible price. Now he is forced to choose between loyalty to his boss and justice for the blue-collar friends he grew up with. His choice must be made, but not without risking his life and the life of the woman he loves. This is a pulse-raising and electrifying rocket of a ride into the depths of corporate corruption and the search for the soul of a nation buried deep in the oil fields of Texas.